Create gorgeous home decor and embellish your garments with these wonderful designs. This collection includes endless designs and designs that begin with 4 position stitches for easy matching when creating All Over-embroidered fabric. 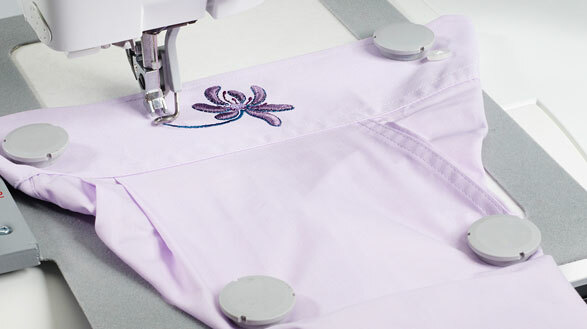 When embroidering, use the creative™ METAL HOOP 180x130 / 7”x5”. Fancy Fabric + creative™ Metal Hoop = True.